This loom has actually been folded-up in the corner of the dining room for a little while, waiting for a warping board. It’s a second-hand Leclerc, and I find myself describing it with feminine pronouns and wondering if I should give her a name, as one might designate a boat or a car. I was happy for the delay that warping board construction afforded, because it’s been a few years since I had to load a warp on a loom, and it’s not very much fun. 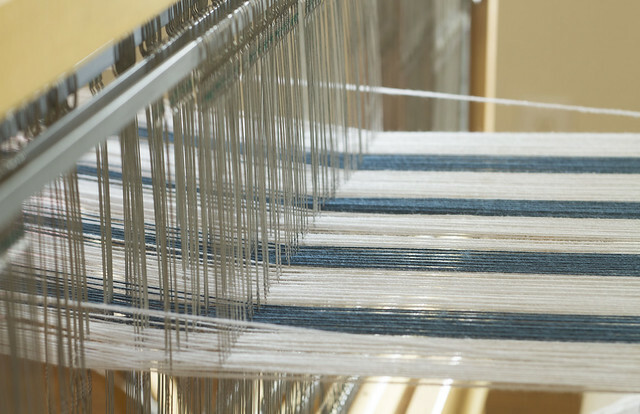 My preferred method of learning new things (or re-learning, in this case) is to just wing it and analyze the outcome, but weaving is too technical– it relies so much on math and precision, and there are too many factors that affect the end result. And, let’s be real– there’s no way I’m spending three hours stringing thread through heddles on a whim. Luckily, it wasn’t too hard to pick back up, and there were only a couple times I had to guess and hope for the best. 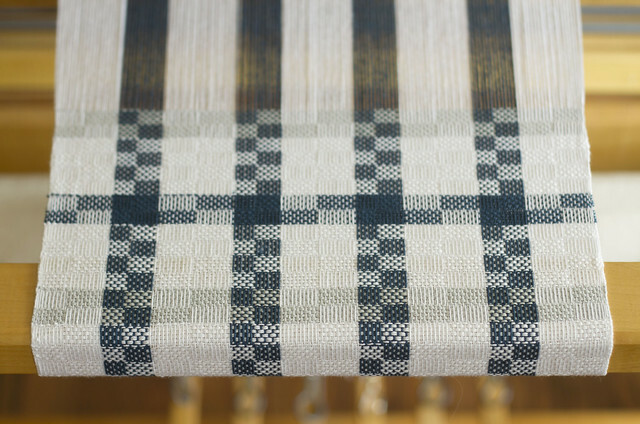 I decided to start with a striped warp of unmercerized cotton, which I’m weaving into dish towels. This way, even if it’s a terrible disaster, the finished product will be functional. Now that I’m done with the tedious part, I can enjoy the process of weaving. There is something deeply comforting about its repetition, and in creating something which will be handled and put to use. It’s been nice remembering the little things I forgot I missed, like the creaky heave of the pedals and the sigh of string through the reed. I’ve barely begun, and I’m already thinking about what I’ll weave next. – I just finished this incredible book, and I wish it never had to end. – Can’t wait until October 23rd. – Today is the right kind of day for a batch of this. 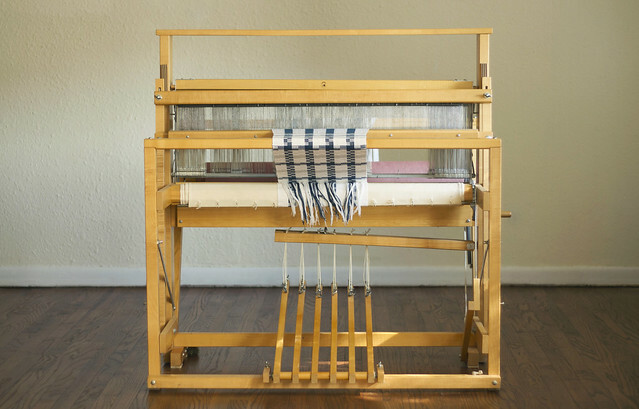 Posted on September 7, 2015 by Jessica This entry was posted in Links, Weaving. Bookmark the permalink.